Synopsis (from Author): What if your old college roommate called, raving about a book someone sent her, calling it the most beautiful book she’s ever read? “But,” she said, “it’s about you.” The author is your college ex. James Russell Lingerfelt writes inspirational, romantic realism. Raised on a cattle ranch in a north Alabama town of 750 people, he was an average student in high school but excelled in literature, gravitating toward the writings of Thoreau, Emerson, and Longfellow. He also played point guard on the varsity basketball team and served in the student government. Lingerfelt serves on the board of directors for LifeBread and taught two years as a visiting professor in Ancient Judaic Studies at Lipscomb University ('07-'09). In May 2010, after returning from overseas, Lingerfelt resigned from teaching and his PhD program in Cross-Cultural Studies at Fuller in Pasadena to pursue a career in writing and film production. He spent five years writing his first novel, The Mason Jar, an inspirational epic – romance. He self-published and released it in December 2011 after being rejected by eight literary agents. Through world of mouth, The Mason Jar sold over 10,000 copies during its first two years. 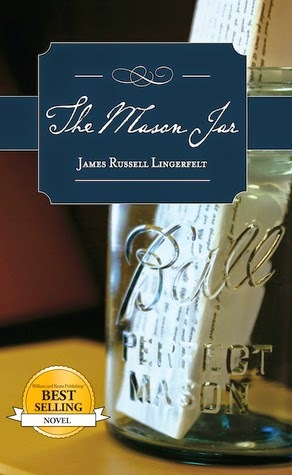 HarperCollins offered Lingerfelt $40,000 plus 20% royalties for The Mason Jar and a sequel novel, but Lingerfelt refused since he couldn't keep the film rights. 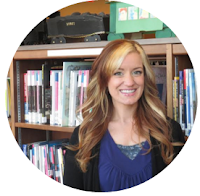 Best-selling romance author Diana Bold said she was "blown away" by The Mason Jar. Award-winning children's book author Nicole Weaver stated in a review, "Lingerfelt's book reads like one, long, beautiful poem." And author Lee Wilson called Lingerfelt the intersection of Nicholas Sparks and CS Lewis. 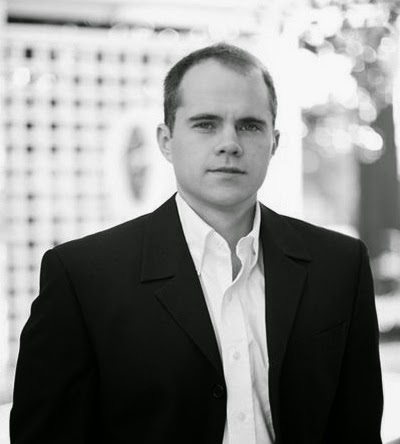 In 2012, Lingerfelt finished an internship in Producing at the Emmy award winning production company Revolution Pictures in Nashville. Lingerfelt then wrote the screenplay for The Mason Jar, after reading over a dozen screenwriting books recommended by Hollywood executives. In December 2013, Lingerfelt was flown to Beverly Hills for table talks concerning the feature film. This book has a LOT of hype surrounding it. It has been compared to works by classic authors like Jane Austen, C.S. Lewis, and Nicholas Sparks. I would be very careful comparing big names like this to books simply because it can lead readers astray or paint authors in a light that doesn't truly reflect their work. In this case, all of the above are present, and it is disappointing to say the least. The fact that this book was compared to three authors that I love and adore (okay, Nicholas Sparks is more of a guilty pleasure) made me dislike it even more due to the misleading of this claim. First, this book does have some potential. I think it needs a significant amount of work done to it, but the premise is interesting. If you enjoy memoir-type books with a touch of inspirational themes, then this might be worth picking up...if it goes through more editing. I'm not exactly sure where C.S. Lewis or even Jane Austen could be remotely compared to this book. The writing was not as sophisticated or organized or delightfully exhausting. The plot was not as magical or carried the endearing undertones of societal expectations or restrictions. It is not comparable. In terms of comparing it to Nicholas Sparks, I would say it was more like a watered down version of Dear John (which may have been some of the inspiration for this book). When I look at the book as a whole, it's almost as if it's a collection of pieces taken from Sparks' books with some inspirational fiction sprinkled on top. I felt like this book was really unorganized. Sometimes it was difficult to keep track of who was speaking or what was really going on at the moment. It seemed like the main goal was to promote missionary work overseas, but this was tainted by the overall tone of the book. The writing is not well done, the execution is poor, and the claim to fame is deceptive. Maybe it's all just a well thought-out marketing strategy.